Do you find yourself curled up by the fireplace in the pub every weekend, watching on as the humans laugh and converse whilst drinking that sweet smelling, chilled drink they call beer, wishing you could have a little tipple too? After all, your week has been just as strenuous as the humans, you have chased squirrels, warned off intruders, namely the post man, barked at the neighbours and kept the humans warm during these cold months. The wait is now over, with the launch of Snuffle Dog Beer, dogs across the country can also enjoy a leisurely cool brew with their human. 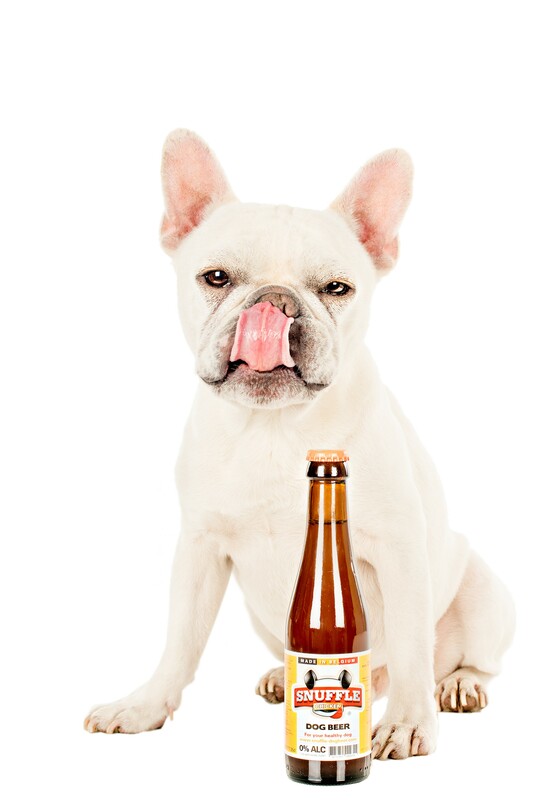 Made in a real brewery in the homeland of beer, Belgium, Snuffle Dog Beer is the ultimate liquid refreshment, designed especially for dogs. Made with beef and malt barley extracts for a taste that will have dog’s taste buds twitching. To ensure dog’s experience Snuffle Dog Beer in the best possible way, humans should shake the bottle prior to pouring into Fido’s bowl to ensure a frothy top. It is recommended that small to medium dogs have up to ½ a bottle a day, whilst slightly bigger, more burley dogs can enjoy the whole bottle. The best part is that whilst humans will be reaching for the water and headache reliever the next day, you won’t have any side effects whatsoever, not even a slurring woof, because with 0% alcohol you’ll be ready and raring to go for your morning walk with no need for hair of the dog! Aside from being a treat for Fido, Snuffle Dog Beer is also designed to cure common issues in dogs, such as rehydration. This tasty drink ensures dogs have the recommended daily intake of liquid, and is a little more appealing than a bowl of tepid tap water. 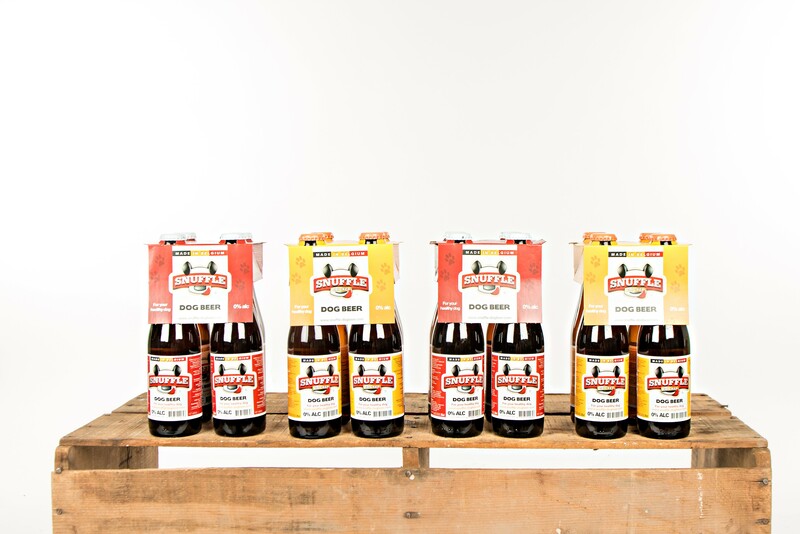 Snuffle’s specially formulated brew has none of the alcohol and gas content you’d find in your everyday lager, opting instead for chicken or beef flavouring, Vitamin B, oils and minerals. This means the tipple is not just a safe drink for dogs, but a healthy one, too. So next time the humans congregate for that mid-week tipple, after work pint or long weekend lunch, make sure they bring a six pack for you too.